Lay’s has been the go-to chip for a while now. Even if you don’t really like Lays, they’re always at the barbecue or the cookout, and you find yourself eating them with the rib tips. If you’re a true Lays fan though then you know the Wavy kind have been around almost just as long. You can thank me now because I have some good news. 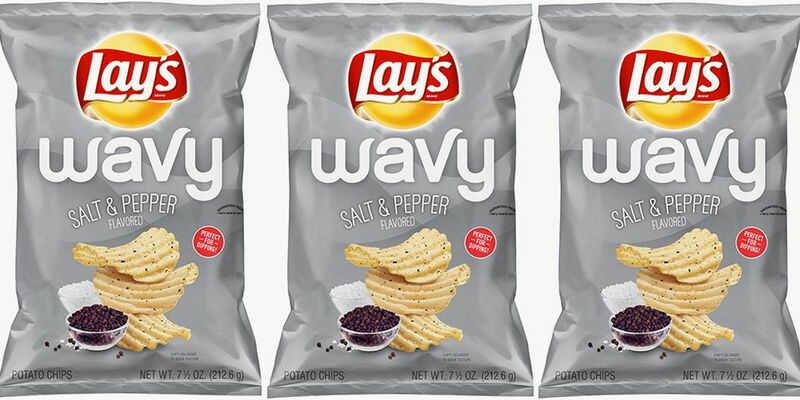 Salt and Pepper Lay’s are now available as Wavy Lays! Salt and Pepper chips low, lowkey don’t get the respect they deserve. I can eat me a nice salt and pepper chip with the right sandwich but especially at the cookout. Something about that barbecue and the salt and pepper on the potato chip that makes everything taste just right. Will you all be trying the Lays Salt and Pepper Wavy chips? Oreo ‘n Cake Is Baskin Robbins’ Flavor of the Month! Hometown Chicago Hero, Quentin Love, Wins Big!